The rapid growth in cohabitation over the past quarter-century necessitates studies of changes in the stability and outcomes of cohabitation. We utilized data from the 1988 National Survey of Family Growth (NSFG) and the most recent NSFG data from 2011–2013 to examine the outcomes of two comparable cohorts of first premarital cohabiting women (1983–1988 and 2006–2013). Our results showed that cohabitations formed between 2006 and 2013 lasted longer—18 months, on average—than those formed in the mid-1980s, which lasted for an average of 12 months. 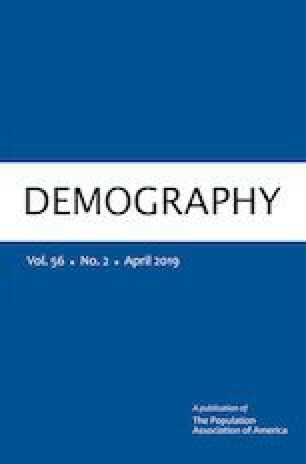 We found that the lengthening of cohabitation over time cuts across sociodemographic characteristics—race/ethnicity, education, and motherhood status—and resulted mostly from the declining rate of transitioning to marriage. We found some support for the diverging destinies perspective in that disparities in the outcomes of cohabitation by education and by cohabiting birth have widened over time. Our analyses showed that changes in the outcomes of first premarital cohabiting unions over the past three decades were not due to compositional shifts in cohabitors. These results demonstrate the evolving dynamics of cohabitation over a 30-year window. The online version of this article ( https://doi.org/10.1007/s13524-019-00765-7) contains supplementary material, which is available to authorized users. This research was supported in part by the Center for Family and Demographic Research (CFDR) at Bowling Green State University. The CFDR has core funding from The Eunice Kennedy Shriver National Institute of Child Health & Human Development (P2CHD050959).